UK distributor Flaghead Photographic has announced an exciting new lineup of products from Custom Brackets. 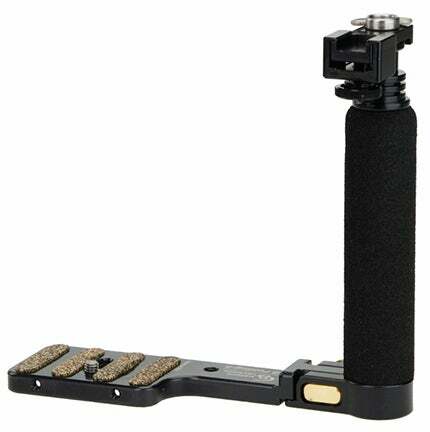 Eight new mounts, heads and brackets from the specialist firm cover a wide range of shooting options and different uses for DSLR cameras, such as video. 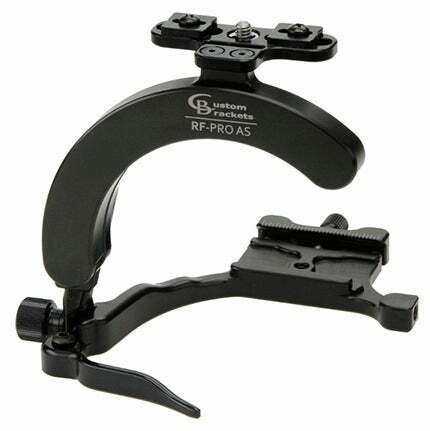 The CB RF-PRO AS (top and above) is a lightweight flash-rotating bracket featuring an Arca-Swiss-style quick-release clamp. Like many other Custom Bracket products, it’s designed to keep the flash well away from your lens and thus avoid creating ugly shadows. 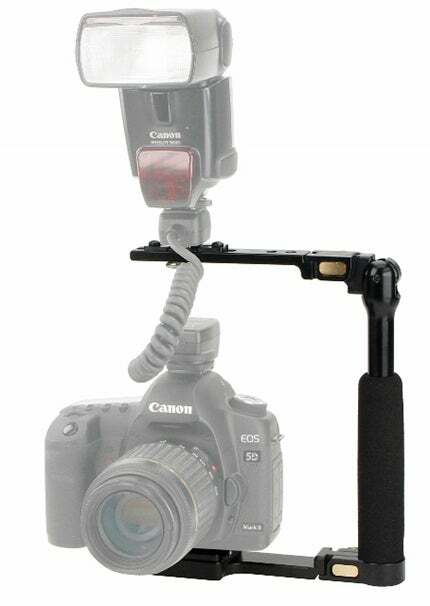 Flaghead says it is compatible with several brands of carrying straps, including Joby and BlackRapid. It retails at £219.60. The CB Folding-TA (£102.84) and Folding-SA (£98.40) are two brackets designed for the travelling photographer, both folding up easily to be stored away in a camera bag. The Folding-TA is built for tall cameras or those with add-ons such as vertical grips, with the Folding-SA is suited to smaller models. Both are compatible with Arca-Swiss plates. The CB Folding SAB, retailing at £109.99, also features an Arca-Swiss-style mount, as well as an upright locking shoe mount. 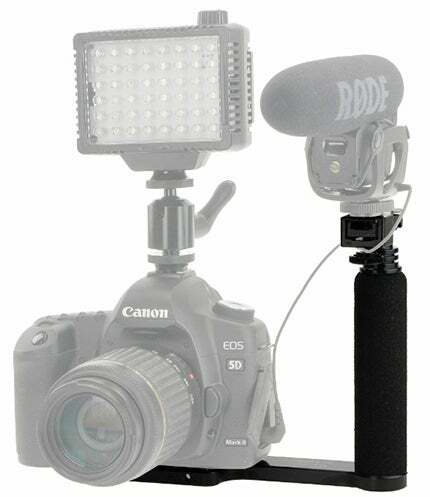 Flaghead suggests it as a good accessory for shooting video, with the upright mount well-suited for an external microphone. 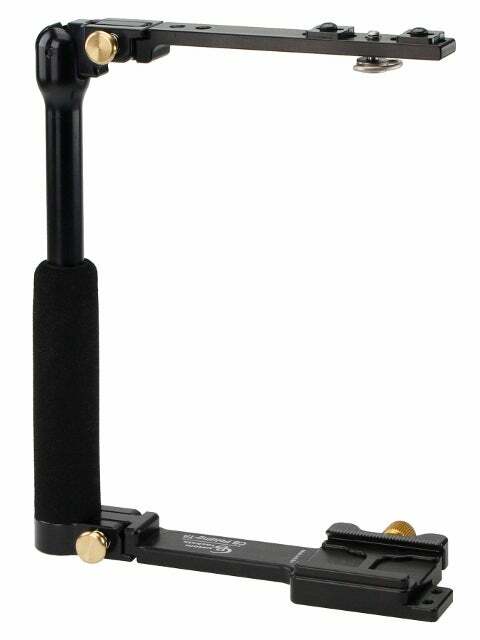 The CB Folding-SB (£68.40) and non-folding Digital-SB (£33.42) are similar in design to the SAB, but with ¼in mounts. Custom Brackets has also announced a couple of new heads that look interesting. 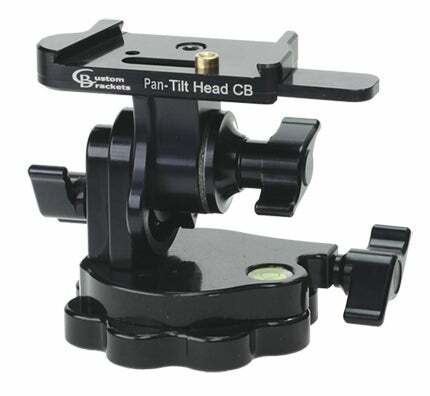 The Pan-Tilt Head CB, named for its CB-style mount and priced at £214.28, is a tilting head with a built-in panning base, a compact support for cameras, brackets or long lenses. 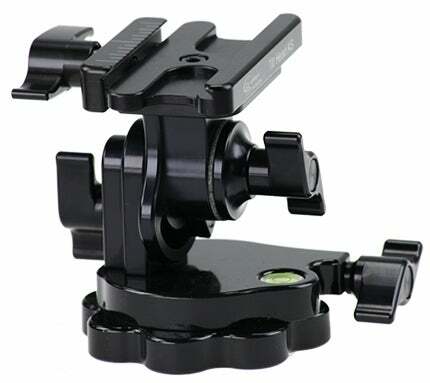 The Tilt-Head AS features an Arca-Swiss-style quick release that can be positioned in one of two ways to accommodate either a camera or a long lens. Like the Pan-Tilt Head, it is also priced at £214.28. To find out more about the products visit Custom Brackets or Flaghead Photographic.